The least-expensive sedan in the Mercedes-Benz lineup is also one of the most exciting, the CLA 4-Door Coupe. If you are looking to locally purchase for an affordable sedan with all of the benefits of a Mercedes-Benz vehicle, the Mercedes-Benz CLA is a terrific choice. 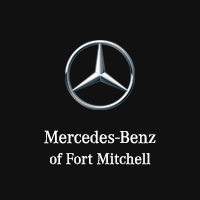 Mercedes-Benz in Fort Mitchell KY, also serving Cincinnati, Covington, Crescent Springs, Fort Wright, and Park Hills, has a large selection of new 2017 and 2018 Mercedes-Benz CLA models for sale or lease at highly competitive prices. The Mercedes-Benz CLA received an extensive upgrade in 2017. For 2018, Mercedes-Benz limited changes to the addition of an Ice Edition. That means new 2017 CLA models offer all the great features, good handling, solid performance and handsome style found on the 2018 version. It is also available in forward- and all-wheel drive configurations, and you can choose among three versions. The CLA 250 is motivated by a 2.0-liter turbo-4 outputting 208 horsepower and 258 lb-ft of torque, mated to a 7-speed dual-clutch automatic. The engine employs a start/stop system that helps it achieve excellent fuel economy. CLA 250 is loaded with standard features, including dual-zone automatic climate control, 14-way power front seats with memory, Dynamic Select driving modes, push-button start, and a Bluetooth®-equipped infotainment system. Safety features include 8 airbags, rear-view camera, Active Brake Assist, Attention Assist, rain-sensing wipers and available lane-keeping assist, blind-spot assist and active cruise control. Whatever the weather or road conditions, the CLA 250 4MATIC® gives you additional control and confidence. This advances 4-wheel-drive system features variable torque for nimble handling. The system monitors wheel slip and can divert up to 50 percent of torque output to the rear wheels as driving conditions change. Like the FWD model, the 4MATIC® offers many optional features, including multimedia navigation, Android Auto/Apple CarPlay, keyless entry, a premium harmon/kardon audio system and heated front seats. The AMG® CLA is equipped with a hand-built 2.0-liter turbo-4 delivering 375 horsepower and 350 lb-ft of torque. The exterior is graced with AMG® touches, including rocker-panel extensions, larger air intakes, AMG® grille, rear diffuser and trunk spoiler. You can specify a Performance Studio Package and get special 19-inch wheels and yellow exterior accents. The AMG® Dynamic Plus Package adds a limited-slip differential, race mode, adjustable shock absorbers and a higher top speed. Are you looking for a luxury Coupe to lease locally? Stop by our Mercedes-Benz dealership in Fort Mitchell, KY, also serving Cincinnati, OH,	Covington, Newport and Florence, KY, for a test-drive and world-class customer service.